Ed Walker is banking on local knowledge helping him secure a first top-level victory after revealing Hong Kong-based Mauritian Karis Teetan will ride stable star Stormy Antarctic in the BMW Champions Mile at Sha Tin on May 7. 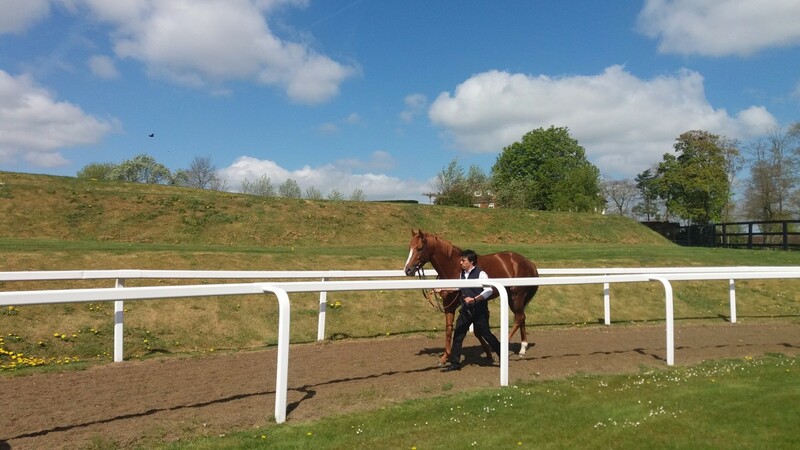 Last year's Craven winner was among a host of stars to parade at Walker's Kingsdown stable in Upper Lambourn on Saturday morning when the trainer entertained around 170 owners. His move from Newmarket at the end of 2016 has proved fruitful with 15 winners already on the board this term against 27 in the whole of last year. "Things have gone great," said Walker. "It's a dream yard to train from in a lovely part of the world. The gallops are great – Jockey Club Estates do a fantastic job – and the horses have been running really well. "We've had a great winter and can hopefully keep that form going now the turf season has started. We've got a nice bunch of horses and a few exciting types that could compete at the top level so hopefully we can have lots of winners." Chief among them is Stormy Antarctic, for whom connections have booked 26-year-old Teetan, who won a valuable handicap on former Hong Kong Horse of the Year Designs On Rome last year. "Karis a good jockey and the owners are keen to use him," added Walker. "It's hard to get a top European jockey to commit because the race is on 1,000 Guineas day, so they don't know if they'll get a good ride in that and we didn't want to get left in the lurch. "We've got a local jockey, which I think will be advantageous and he'll know more about the opposition as well. "Stormy Antarctic worked on Wednesday morning and preparations are going well for Hong Kong. I'm looking forward to it. It's a big challenge, a new venture for us, exciting. "He's come on since his first run of the year at Doncaster and looks great. He's in really good form and will probably work at Kempton next week as his last little bit before he flies on Friday. I know getting beaten in a Listed race isn't necessarily Group 1 form, but I think he was unlucky to get beaten. It was a prep race and I still retain faith he can bag a big one." Like Stormy Antarctic, Ultimate Avenue and Indian Blessing run in the colours of PK Siu and are also worth keeping an eye on, reckons the trainer. They both ran in conditions races at Kempton last week and Walker said: "We were a bit disappointed with Ultimate Avenue, but I think he'll come on a lot for that run, while Indian Blessing is exciting. Jamie Spencer said the track was riding extremely slow, deep and dead, and both are fast-ground horses. "If you look back at the results most of the races were won from the front or from handy positions, so Indian Blessing coming from off the pace as a filly who needs further was a strong performance. "We'll take it step by step, but if she was to win the Listed fillies' race at Newbury next month the French Oaks is something that would appeal." 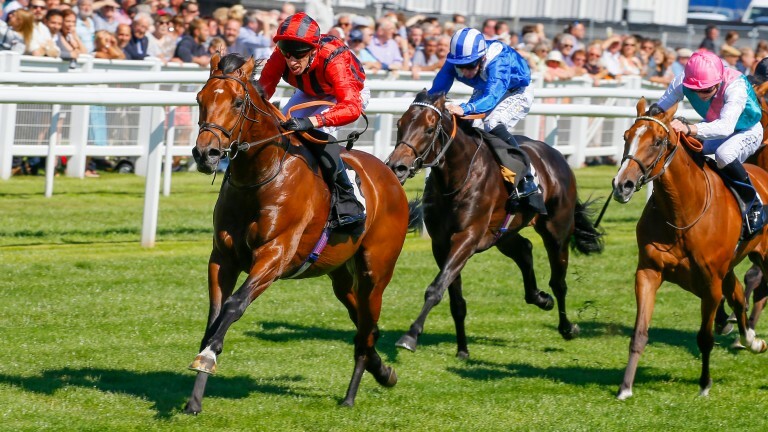 Aelous, who rain in the Abernant at Newmarket on Thursday, "has been a star who still has big days in him", according to Walker, while Captain Colby could run at Newbury on the Friday of the Lockinge meeting before a tilt at the Wokingham Stakes at Royal Ascot. "I think a fast-run stiff six furlongs would be right up his street," said the trainer.